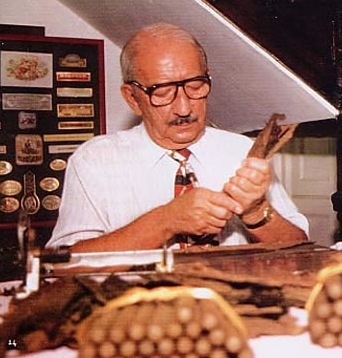 Legendary cigar maker Avelino Lara died yesterday due to complications from thyroid cancer. Once Fidel Castro’s personal roller, Lara was famous for his creations at the El Laguito Factory outside of Havana, where he crafted some of of the most famous Cuban cigars, including the Cohiba brand. Born in Havana on March 20, 1921, Lara worked in the cigar business all his life. He trained and mastered the art of a torcedor at a young age. After decades of working in the Cuban cigar industry, including having a hand in some of the best-known blends ever created, Lara retired in 1996, in part because he was unhappy with government interference in cigar making. Lara couldn’t keep away from cigars for long. He eventually moved to Nassau to roll cigars at Graycliff Restaurant. His cigars soon became a success, and Lara then teamed up with Enrico Garzaroli to create and distribute Graycliff Cigars. Although Lara retired from Graycliff a few years ago and returned to his native Havana, he was still involved with the company product line, sampling new cigar blends and suggesting modifications. “Avelino will be sorely missed. Even though he was no longer present in the rolling room each day, the torcedores continue to refer to his passion, knowledge, and his constant testing of their skills,” said Paolo Garzaroli, president and co-founder of Graycliff. “I will personally miss his dedication to our company, his drive for perfection, and his many wisdoms which he shared with me.” Lara’s son, Abel, continues to make cigars for Graycliff. Felipe Gregorio is one of those cigar brands I wish I knew more about. But thanks to Amine Taoulost, Felipe’s marketing director, I got a first-hand look at this company and its products at the IPCPR Trade Show in New Orleans this August. Felipe, inspired by the Cuban cigars he smoked while growing up in Europe, got his self-titled outfit off the ground when he gave up selling helicopters in the Middle East in 1988. His subsequent cigar journey took him to Honduras and Nicaragua before finally settling in the Dominican Republic. There, at request of Frank Sinatra—who wanted Felipe to craft a cigar bearing his name—Felipe established the Tabacalera Real de Felipe Gregorio factory. One of Felipe’s most intriguing projects is the Moroccan Series. This unique line of cigars includes four different blends named for the region of Morocco in which their tobacco is grown. Essaoura, an isolated city on the Atlantic coast known for its whitewashed houses, is said to produce leaves of “rich, earthy flavors,” according to Felipe’s website. The blend features 40% Essaoura tobacco, 60% Dominican, and a Vuelta Abajo habano wrapper. The Amir frontmark, a five inch by 52 ring gauge figurado, has a tapered foot and a broad midsection that narrows at the head. Behind two black and yellow bands, the wrapper is coarse, splotchy, and a bit rough around the edges. Both of my samples were firm to the touch with faint pre-light notes of hay and pencil. My first impression of the taste is that it’s spicy, complex, and—despite the distinctive blend—quite traditional. A full-bodied array of pepper, cedar, cork, and dried tea shines through with each voluminous puff. While I expected something entirely different given the Moroccan connection, I was pleased with what I found. 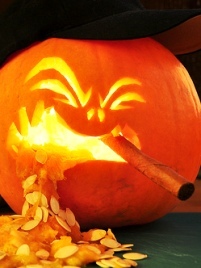 The flavor mellows and takes on more balance as the cigar opens to its widest point. Here, cream and almond enter the equation to provide a smooth contrast to the woody base. The final third, characterized by more of a meaty texture, is an appropriate way to end a hearty cigar. I was impressed by all this 60-minute smoke has to offer, including its near-perfect construction performance. So if, like me, you need to better acquaint yourself with the Felipe Gregorio brand, consider picking up a sampler of the three Essaoura vitolas for $24 from CasaFelipe. You’ll enjoy the Amir, which earns four stogies out of five.